Hi everyone! Today's post is a very special topic that myself and fellow blogger/photographer, Erin Smagala , have decided to collaborate on! Erin is a phenomenal photographer in Nashville. I have worked with her on several occasions to do makeup for her senior photo sessions. When she asked me to guest post for her senior blog, I was thrilled! We decided a great topic would be suggestions for girls who are interested in starting their own makeup collection. I've collected some of my staple products along with information that will hopefully let you decide what is worth spending the money on and what you can just get at your local Walgreens. Enjoy! 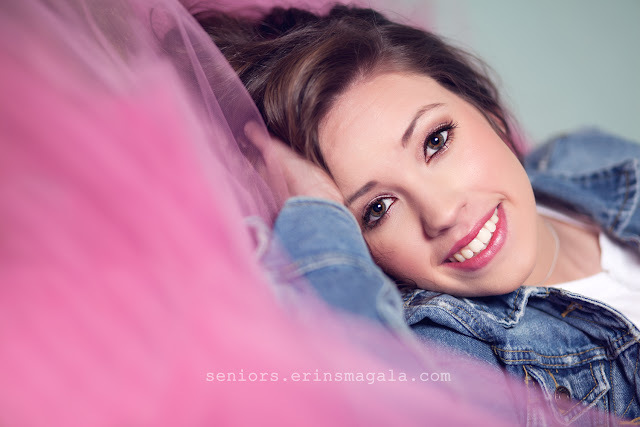 Photos Courtesy of "Erin Smagala Photography"
Foundation is your most important makeup asset. It creates the base for your accent makeup (blush, bronzer, eye shadow etc.) The key with foundation, in my opinion, is not to mask the face, but to simply even out the complexion. It's also extremely important to read the ingredients in your foundation. As a beauty consultant, the biggest complaint I have from girls is breakouts! The main issue with blemishes is generally the type of makeup you use. My biggest recommendation is to find a makeup that is A. paraben (toxic preservatives found in cosmetics) free and B. made with the simplest ingredients. This would be my number one recommendation to save money for! Bare Minerals Original Foundation $27: Not only is this foundation made with just 5 ingredients, but the ingredients are all natural minerals which allows for the skin to breathe. Tarte Amazonian Clay Foundation or BB Cream $36-$38: Tarte is also a great brand to look into when searching for healthy makeup. They also leave out harmful preservatives in their cosmetics! Makeup brushes can easily drain your wallet. For a long time I thought I would never be able to find a good affordable brush set that wouldn't cost me an arm and let until I found "Real Techniques" brushes. These brushes perform amazingly and are also reasonably priced! The face set I'm featuring above only cost around $18 dollars! Other brush sets are also available for the same price. I honestly love these brushes and think they are absolutely perfect for everyday makeup! You can find them at ULTA! Ok, let's be honest, blush is blush (in my opinion). I generally never bust my wallet for a high end blush. One of the most affordable AND pigmented blushes that I started out on and still use to this day are E.L.F. blushes which only cost $3?! The pigmentation is great and they blend into the skin seamlessly! Going back to my healthy makeup spill- most girls are only sensitive to base makeup since it's the foundation that is mainly touching your bare skin. However, I have seen a few girls who are sensitive to their blushes and only break out on their cheeks because of the ingredients in the blush they use. Test out the blush and make sure it works well with your skin, if it doesn't, try to find a blush that doesn't contain parabens in the ingredients (apply this to other products you may be sensitive to). Bronzer is another makeup product I would definitely recommend saving money for. Since it is being applied all over the face, you want the ingredients to be as healthy as possible. Physician's Formula "Happy Booster" Bronzer $12: This light bronzer has a gorgeous glowing effect that brightens the complexion. If you're looking for something a little cheaper than Warmth, I would definitely suggest this little guy! Eyes are always the funnest part of makeup (for me at least). If you're new to eye makeup, my suggestion would be to start out with some cheaper products so you can experiment and get a feel for what you like and what you don't like. Most drugstore eye shadows are fabulous in my opinion! Maybelline 24 Hour Color Tattoo cream shadows $7: Maybelline Color Tattoos are one of the best shadow options on the shelf right now! I can't say enough good things about these cream shadow pots. They can act as an eye primer for powder shadows or worn alone. The best part is, you don't even need brushes to apply them! Wet n' Wild Color Icon eye shadows $5 (for 8): Wet n Wild has came a long way on their shadows since I started wearing makeup. The formula is so awesome now. These are great shadows to experiment with because they don't cost you a fortune and the pigmentation is just as good as any high end shadow! Most eye liners tend to be the same. You've got your basic black, brown and charcoal colors. I always find that it's easier to use a roll-up eye liner when starting out rather than a pencil or liquid liner. If you aren't sure what color of eye liner to choose, I always recommend a classic dark brown. It's not too dark and not too light! I've been using Maybelline eye liners ever since I started wearing makeup around the 8th grade. They're cheap ($4-$5), pigmented, and easy to use! I can't get enough of my Cover Girl Lash Blast Fusion mascara. Not only is this mascara just around five or six dollars, but it also works wonders for lashes. The rubber wand grasps lashes and gives them amazing length and volume! Every time I switch my mascaras, I always find myself coming back to this one. It's definitely a keeper in my book! Ahh, my favorite part of makep! The lips! When it comes to lip colors this is where you can really add a pop of color to your makeup look. A gorgeous lip balm is always a great makeup item to keep on hand to reapply throughout the day. Revlon Color Burst Lip Butters $7: If I had to choose one drugstore product that I couldn't live without, it would be my Revlon Lip Butters! I can't describe how perfect these are for any girl. They are incredibly moisturizing and give you the perfect amount of color. The color selection is endless and they fit perfect into your purse or makeup bag. These are all products I have had experience with and would recommend to everyone. Even though these are products I am recommending and basing off my personal opinions, I hope some of the information has helped you. Thank you so much for reading! If you have any questions, please feel free to ask. I'd also like to give a big thanks to Erin for being interested in my blog and asking me to guest post! This is really helpful post. 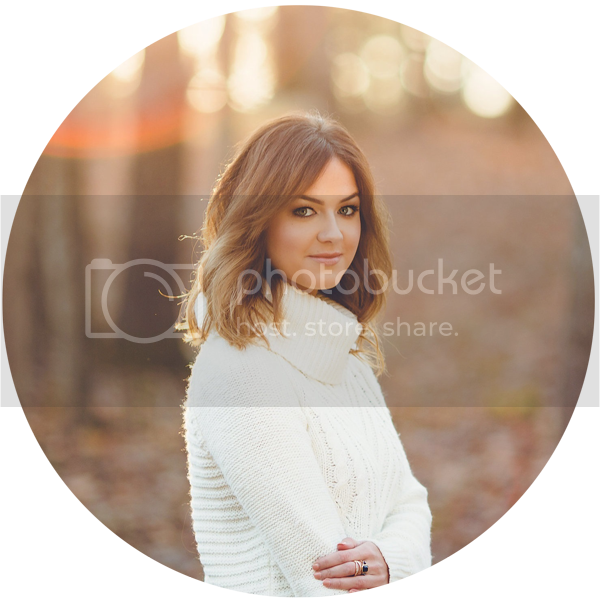 Hey Shelbey I recently nominated you for a liebster award on my blog!! Thanks Karly! I will check it out :) Glad you found this post helpful!